This week’s recipe is actually care of my mum! 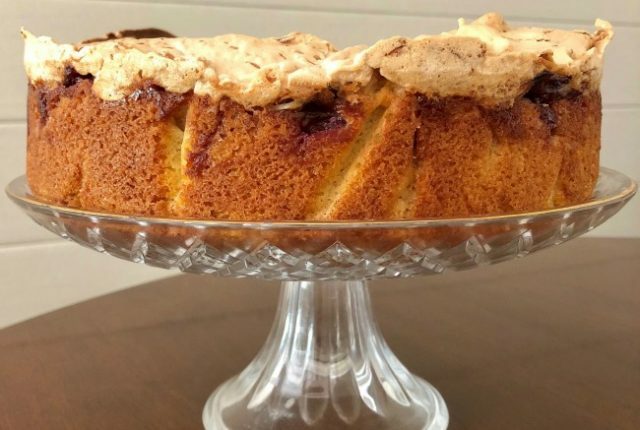 She was baking this cherry coconut macaroon cake and I liked it so much I knew I had to share the recipe with you guys too. It’s much simpler than it looks, making it perfect for dessert or an afternoon tea. Delicious! 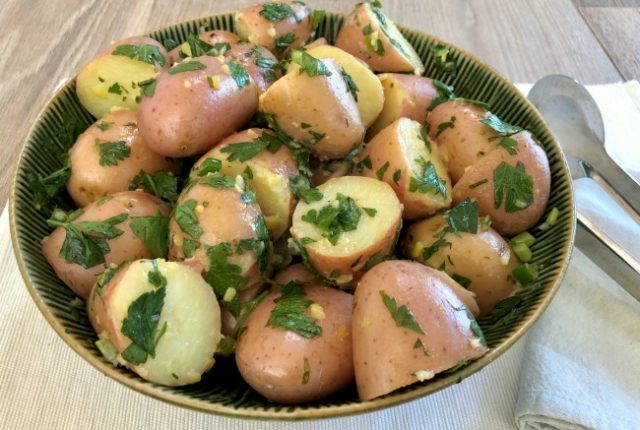 I had some friends round for a BBQ recently and in my books that means a potato salad! I wanted to make something a bit different and not creamy, and this lemon parsley potato salad was the perfect answer. It’s fresh and zesty, can be whipped up in advance and is oh-so-tasty! 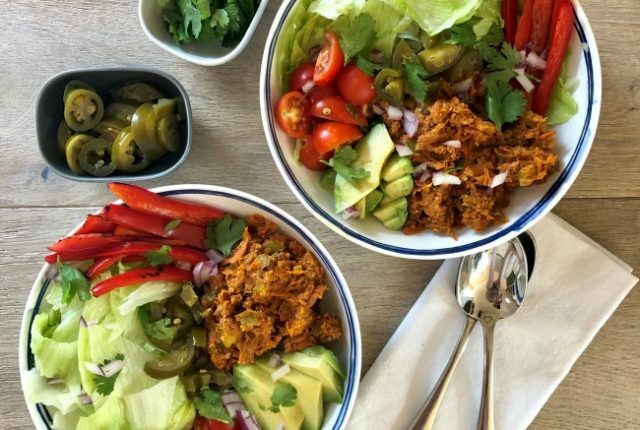 Mexican flavours have always been one of my absolute favourites, and it doesn’t hurt that they work well for make-ahead meals too. I was looking for something a bit healthier recently and this carrot walnut taco mince was the result. 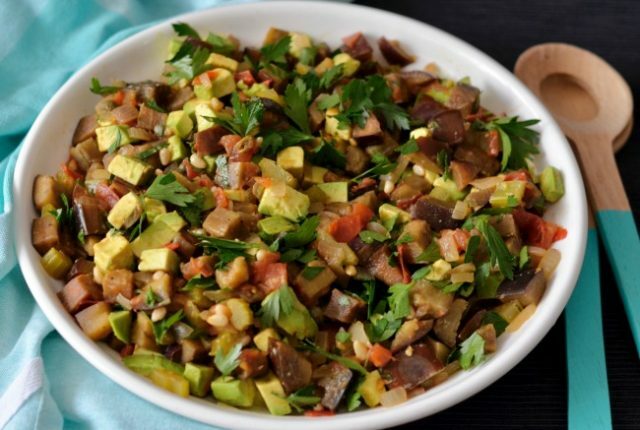 Not only is it seriously tasty, but it can be used in pretty much all your favourite Mexican dishes. So good! Sandwiches aren’t something I take to work very often, but I had a weird craving for one recently. 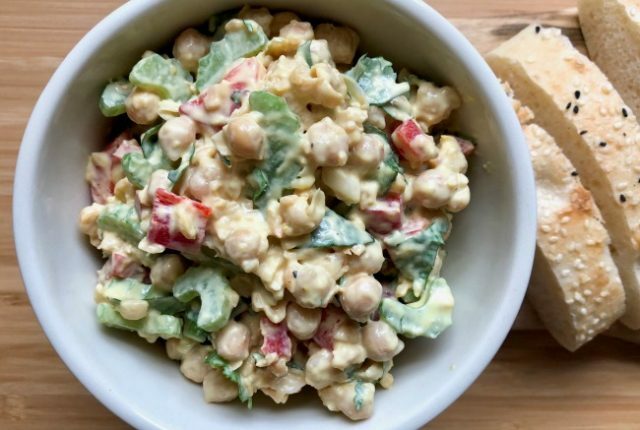 I knew I needed something super delicious and interesting for the filling, and this chickpea celery salad was the answer. The only problem was it was so delicious I ate heaps of it before it even made it into my lunchbox! Thankfully it’s also super easy to make more!